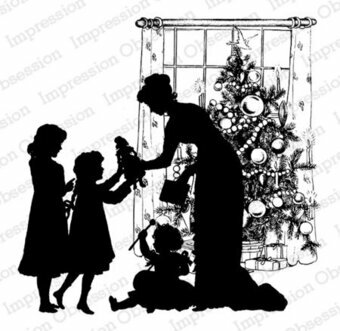 Christmas themed clear Stamps featuring a Wreath, bells, and bows. 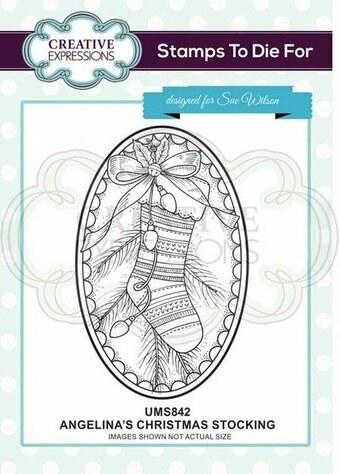 A detailed stamp featuring a Christmas stocking with a scalloped edge border. Use it on it's own, or use it with the coordinating die set. Coordinates with CED3148 "Festive Frame Collection Angelina". 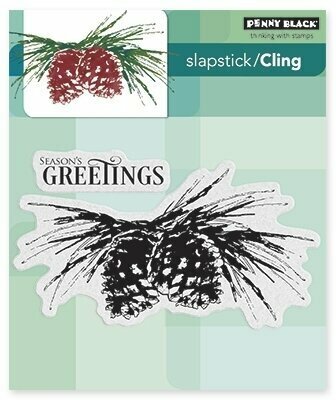 Rubber cling stamp. 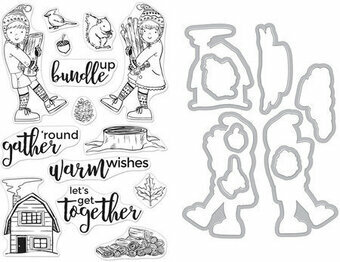 Clear stamps from Memory Box featuring bunny rabbits, a sled, "Season's Greetings", "Be Jolly", Merry Christmas", and more. 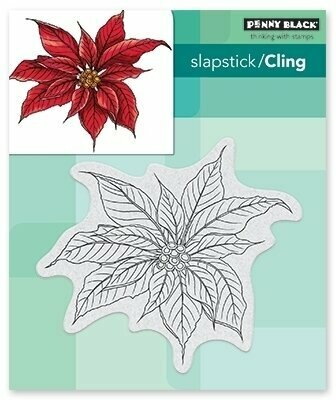 This set of 11 greenery stamps works in so many ways to make wreaths, swags of greenery, and even entire Christmas trees. 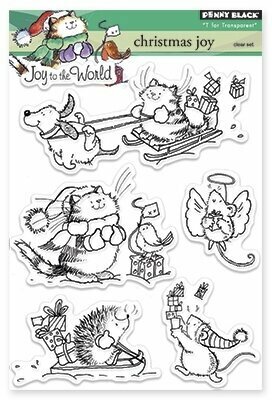 This Large 4" X 6" set of Perfectly Clear Stamps features premium photopolymer images from exclusive Fran Seiford artwork. Interactive images work together for dozens of fun looks. Use with acrylic handle sold separately. Made in the USA. 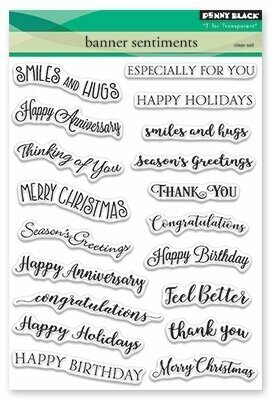 A mixture of handy sentiments for your Christmas projects. Designed by Lisa Horton. 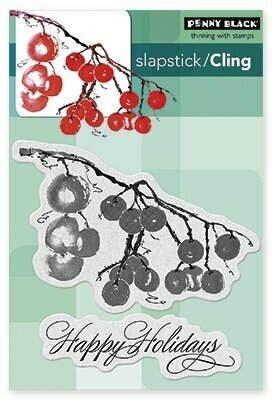 Simply mount your clear stamps onto an acrylic block or stamping tool and get stamping. Includes 23 stamps. 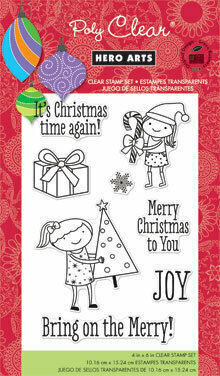 Christmas Sentiments Stamps Zenspired Holidays Collection by Joanne Fink is a cling foam (EVA) rubber stamp designed to be used with an acrylic block. Zenspired Holidays Collection by Joanne Fink brings her signature creative drawing techniques into the holiday spirit. For fans of Zenspirations, it is an inspiring to a fun-loving array of designs and a must have in your collection. 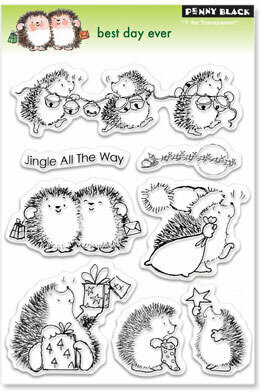 Approximate Size: Just Believe: 2.30 x 1.75 in 5.80 x 4.40 cm, Merry Christmas: 3.15 x 1.50 in 8.00 x 3.80 cm, Season's Greetings: 3.15 x 2.15 in 8.00 x 5.50 cm, Be Inspired: 3.50 x 2.40 in 8.90 x 6.10 cm, May your heart: 4.00 x 1.15 in 10.20 x 2.90 cm. Clear Stamp - Christmas Time - Christmas Birds. 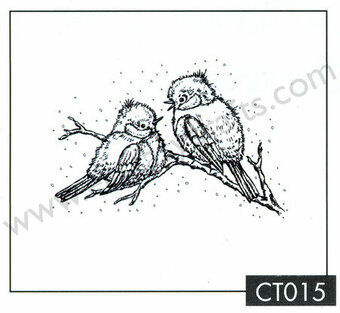 Detailed clear stamp featuring 2 birds sitting on a branch with snow falling. 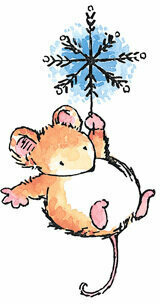 Size: 3" x 2". 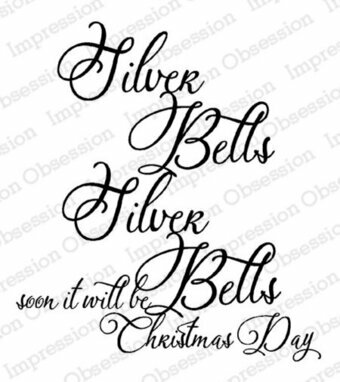 A set of Christmas verses that are perfect for decorating the inside or outside of your Christmas cards, or adding to other Christmas projects such as scrapbook layouts. Clear stamps can be mounted on an acrylic block or used with a stamping tool. Designed by Phill Martin. 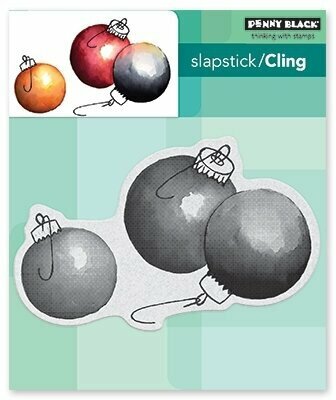 Dangling Christmas Ornaments Stamps Zenspired Holidays Collection by Joanne Fink is a cling foam (EVA) rubber stamp designed to be used with an acrylic block. 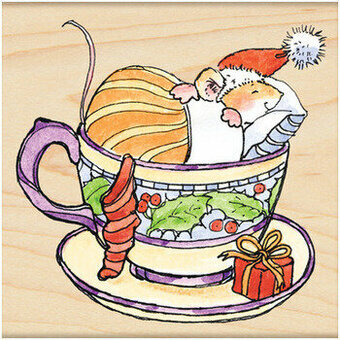 Zenspired Holidays Collection by Joanne Fink brings her signature creative drawing techniques into the holiday spirit. For fans of Zenspirations, it is an inspiring to a fun-loving array of designs and a must have in your collection. Approximate Size: Gem Dangle: 0.35 x 3.65 in 0.90 x 9.30 cm, Curly Dangle: 0.40 x 3.65 in 1.00 x 10.80 cm, Ribbon Dangle: 0.45 x 3.80 in 1.10 x 9.47 cm, Swirl Ornament: 1.55 x 1.90 in 4.40 x 4.80 cm, Beaded Ornament: 1.75 x 1.90 in 4.40 x 4.80 cm, Heart Ornament: 2.15 x 2.80 in 5.50 x 7.10 cm.